Brandon McCaig's Blog: New Domain Name! I've decided to change domain names of this blog. The original domain was bamccaig.com. I began using that name in college, in part because I couldn't think of anything clever that I was satisfied with, and in part because it was formal and avoided any kind of negative backlash that some screen names may attract. It is built from my real name: Brandon A McCaig. The thing is that nobody could ever pronounce it, and on that same note it was difficult for others to remember how to spell it. Most didn't realize that it was based on my real name, and would try to pronounce it as a single word. Inevitably, it was shortened to "bam" and variations thereof. For example, "bammers", "bambam", and "bambams". When your initials are B.A.M. you naturally explore it as a name. 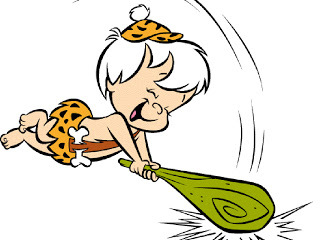 I obviously considered "bambam" in the past, but didn't want to be compared to the Flintstone's character and disregarded it. Before long I realized that it had grown on me. I began choosing it as my username whenever possible, but "bambam" and "bambams" are relatively popular so it can be a struggle to secure them for myself. I remember having to wait several months before "bambams" became available on the Freenode network. Of course, when I saw my opportunity I seized it! Somebody else is using "bambam" still. Somebody else is also using "bam". The latter would be a good name in the same style as those hackers that came long before, such as dmr or rms. Since it is now a nickname that I take pride in I decided to register bambams.ca and move my blog to it for now. Eventually I may opt to develop a more personal Web site with a custom blog being in a prominent corner, but for now this will suffice. I still hold castopulence.org and castopulence.com for more professional ventures (though they mostly serve as placeholders while I remain employed full-time). I have other nicknames in gaming communities. Among Counter-Strike crowds I am better known as "freefall" or variations of "beer", "free", and "music". My Steam display name is usually ..FreeFall.. --beer --music. In all of my years playing I have only noticed one player recognizing the beer and music tokens as command line options. Originally they meant that I was drinking beer and listening to music while playing. They were so consistently true that they became part of my identity. For now bamccaig.com is pointing back at my Castopulence Web site. I have a virtual host setup that should redirect it to bambams.ca, but it isn't working so obviously I have the virtual server configured wrong... OK, I got the <meta> redirection working as intended, which will suffice. It turns out that I just had really sloppy Nginx config (arguably I still do, but I'm a n00b with Nginx, and I don't really have time to spend on it so it is what it is).